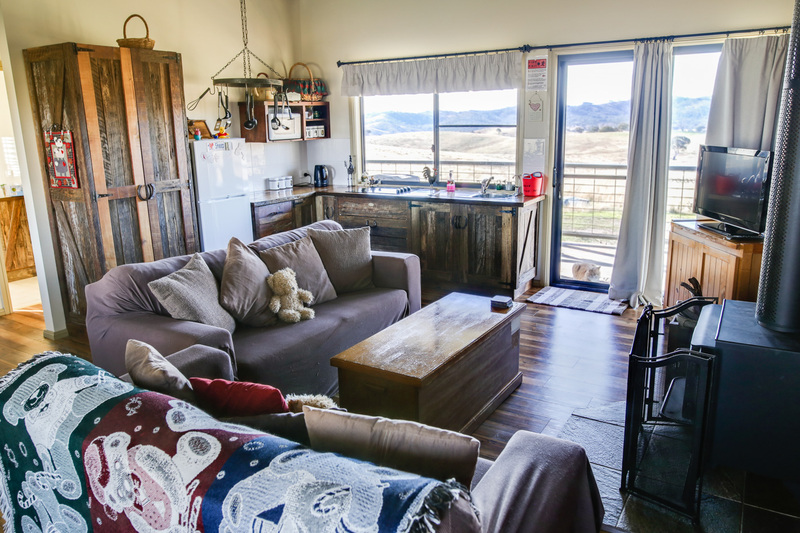 Ba Mack Cottage is lovingly decorated and furnished with a rustic country atmosphere. If you are looking to be just that bit closer to all our animals all day long, then you are really going to enjoy staying in our Cottage. 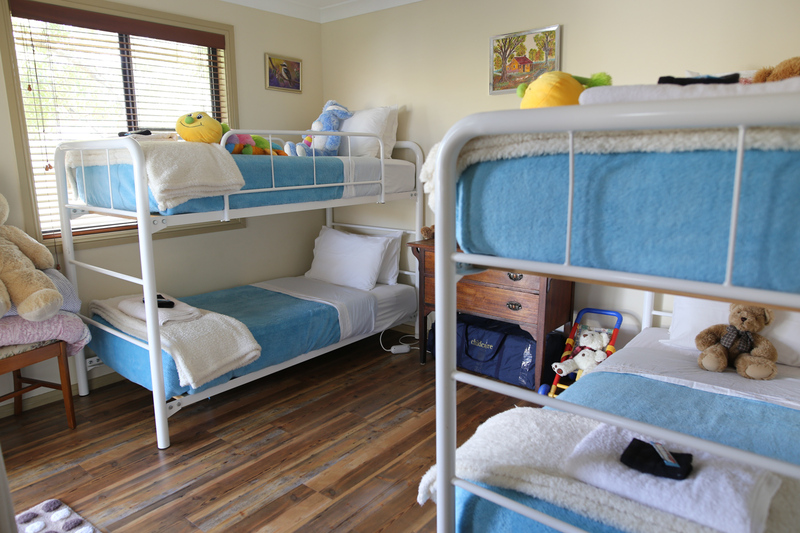 Ba Mack Cottage has two bedrooms, one with a queen bed and one with two bunk beds. There are lots of soft toys for the children to play with as well as lots of books that you will enjoy reading. Beds are extremely comfortable, have electric blankets and all linen is provided. Portable cots and high chairs are also available for you to use. 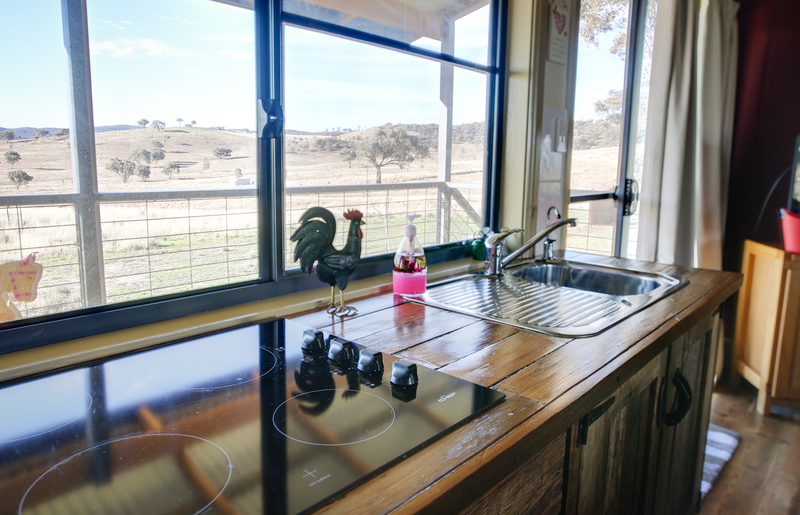 Ba Mack Cottage has a lovely kitchen which has an electric stove cook top and all cookware, utensils, cutlery, microwave, toaster and electric jug – everything needed to cook up a storm. Full country breakfast provisions of sausages, bacon, eggs, hash browns, tomatoes and cereals, jams and our yummy freshly baked homemade bread as well as tea, coffee, hot chocolate, marshmallows, milk and juice is provided for you each day. If you need more of anything while you are staying with us, please let us know, we will be very happy to supply for you. 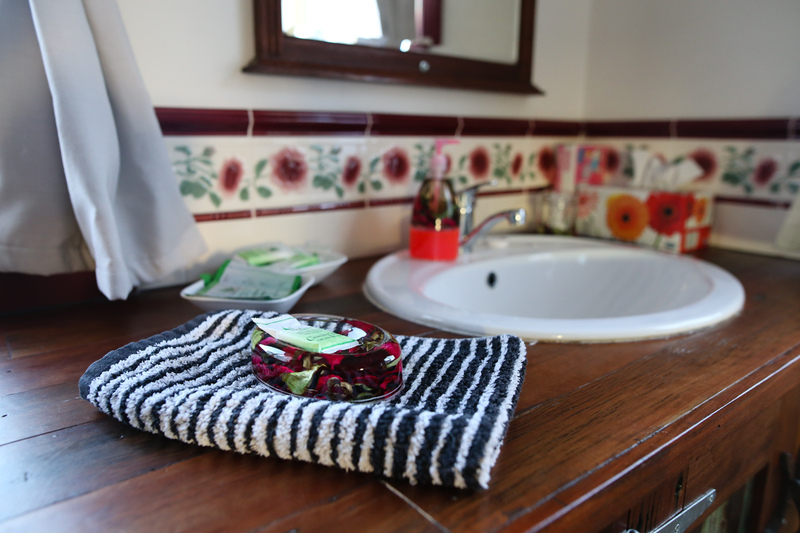 Ba Mack Cottage has a beautiful bathroom with shower, toilet, washing machine (washing powder supplied) and laundry tub. A clothes drying rack is also happily supplied upon request. Outside is a private verandah with a gas BBQ. There is also outside seating around your very own private fire pit. In winter you are welcome to enjoy a bon fire, toast marshmallows and enjoy your complimentary port, while relaxing under our beautiful sunsets and stars. 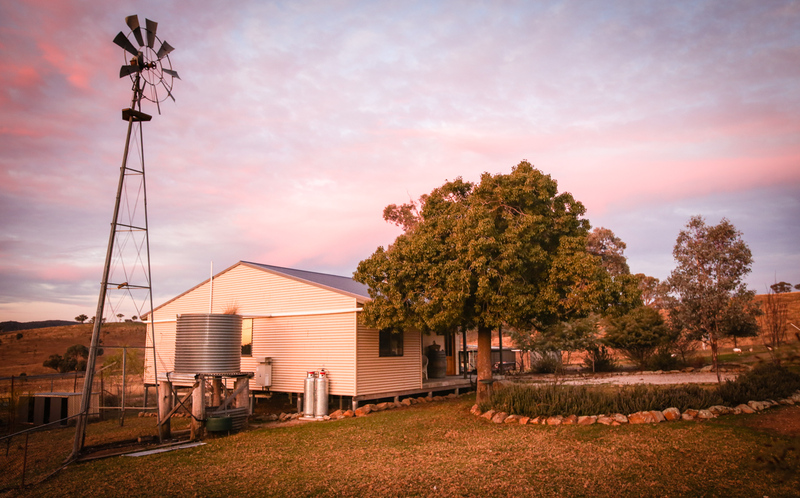 Ba Mack Cottage is located about 30 metres from our homestead and approximately 100 metres from our Train Carriage, so lots of privacy assured. 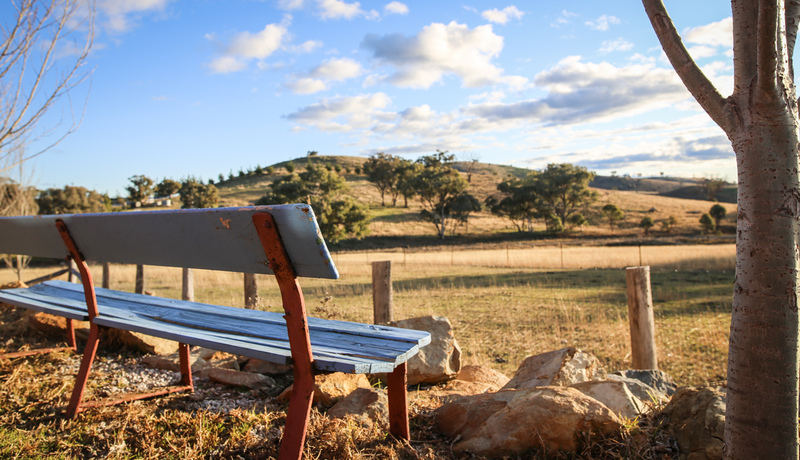 The “Red Rattler” is an Australian icon – Who remembers travelling to school or to work in one in Sydney? 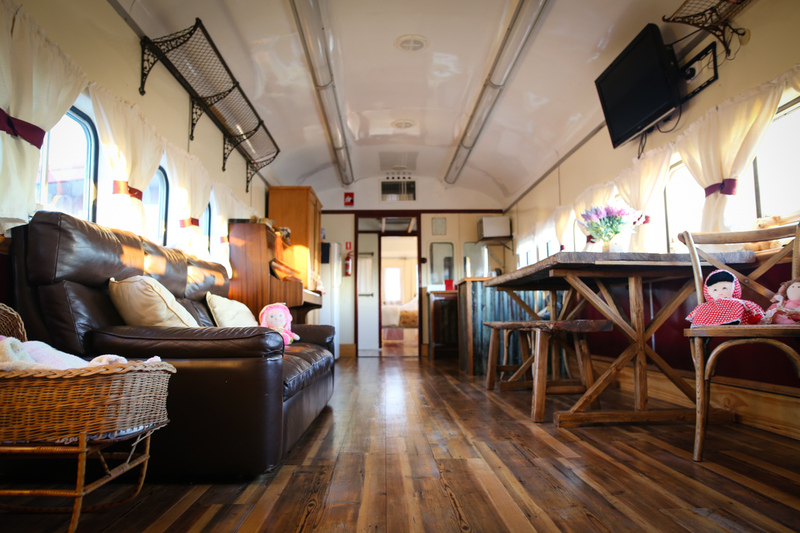 Ba Mack Train Carriage has been renovated and lovingly decorated with a rustic country atmosphere. 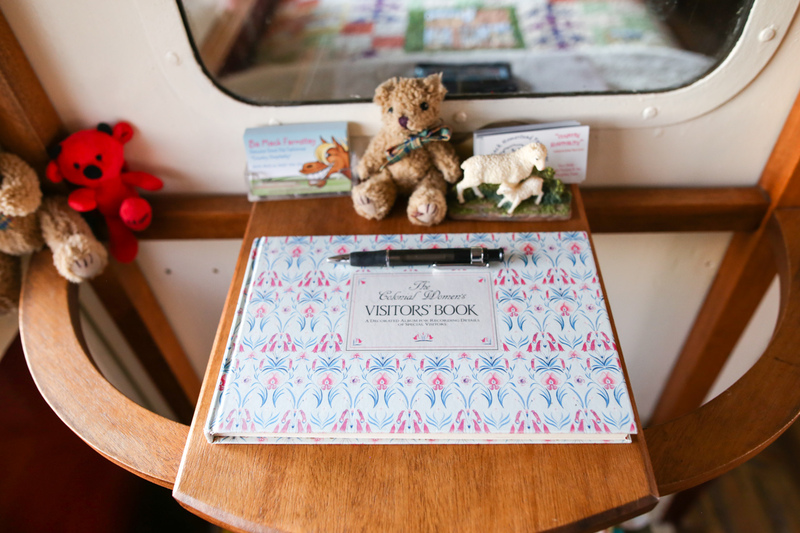 There are lots of soft toys for the children to play with as well as books that you are welcome to read and enjoy. 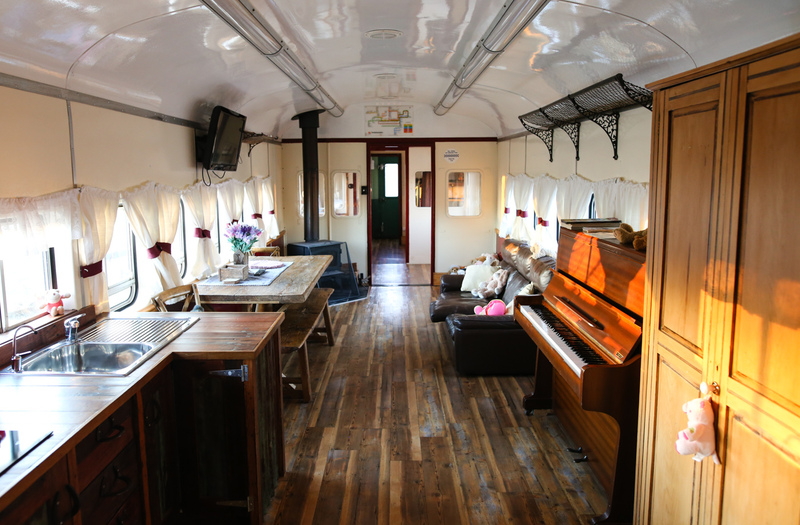 You will be truly surprised how spacious the inside of the train is and how well it has been converted for our farmstay accommodation. 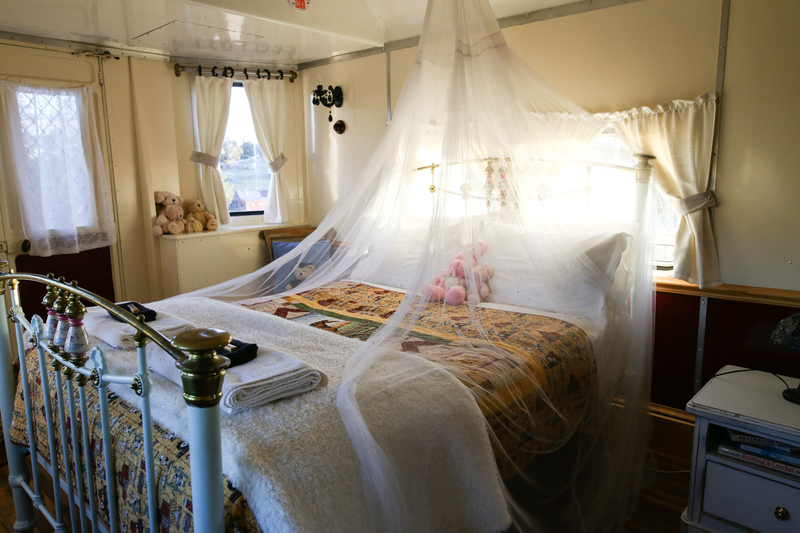 Ba Mack Train Carriage comprises of two bedrooms, one with an antique double bed and one with a single and bunk bed. 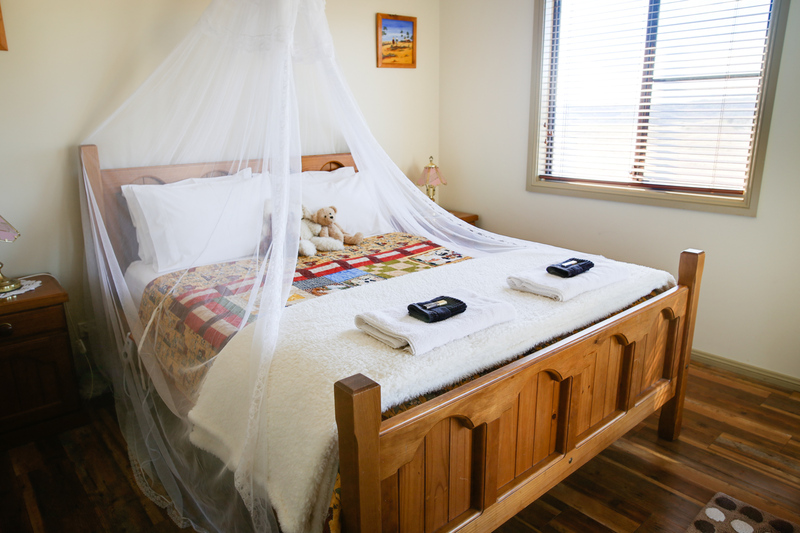 Beds are extremely comfortable, have electric blankets and all linen is provided. Portable cots and high chairs are also available for you to use. 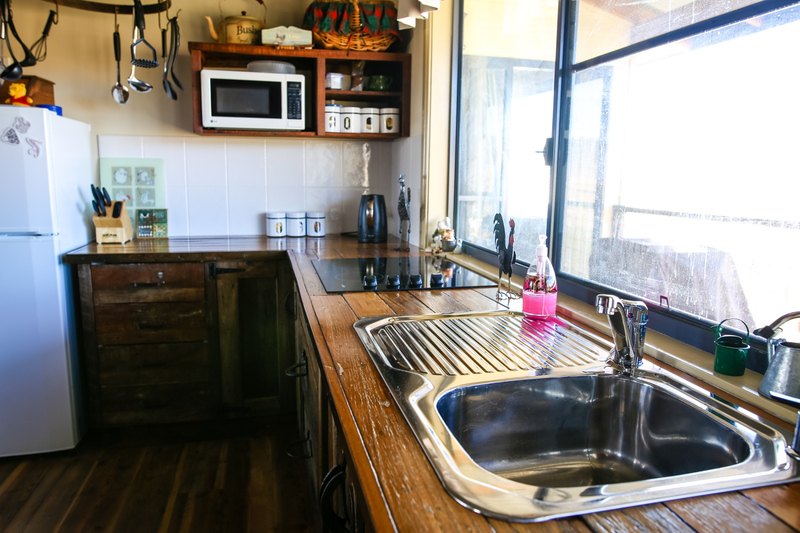 Ba Mack Train Carriage has a lovely kitchen which has an electric stove cook top and all cookware, utensils, cutlery, microwave, toaster and electric jug – everything needed to cook up a storm. Full country breakfast provisions of sausages, bacon, eggs, hash browns, tomatoes and cereals, jams and our yummy freshly baked homemade bread as well as tea, coffee, hot chocolate, marshmallows, milk and juice is provided for you each day. 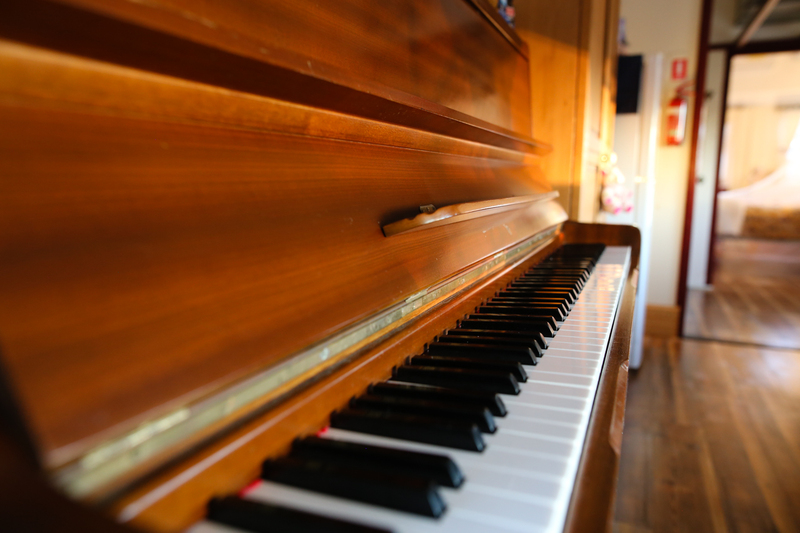 If you need more of anything while you are staying with us, please let us know, we will be very happy to supply for you. 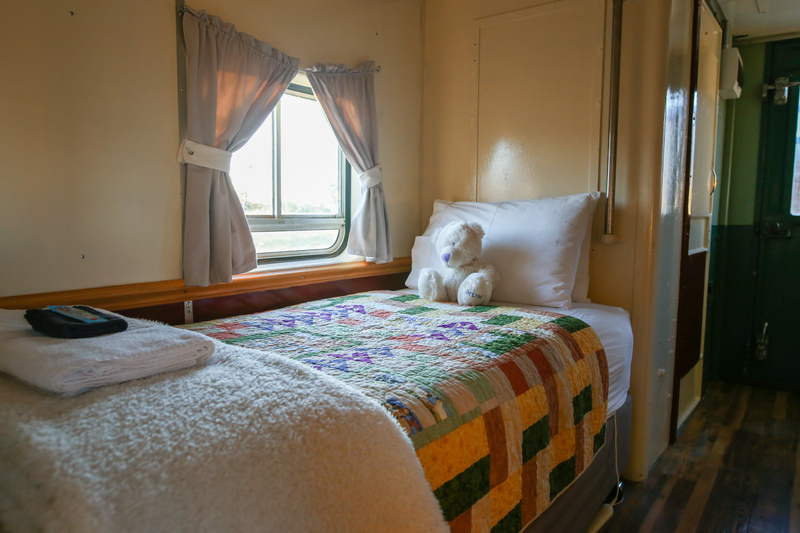 Ba Mack Train Carriage has a beautiful bathroom with shower, toilet, washing machine (washing powder supplied) and laundry tub. A clothes drying rack is also happily supplied upon request. Outside is a private yard with a gas BBQ and outdoor seating around your very own fire pit. In winter you are welcome to enjoy a bon fire, toast marshmallows and enjoy your complimentary port, while relaxing under our beautiful sunsets and stars. 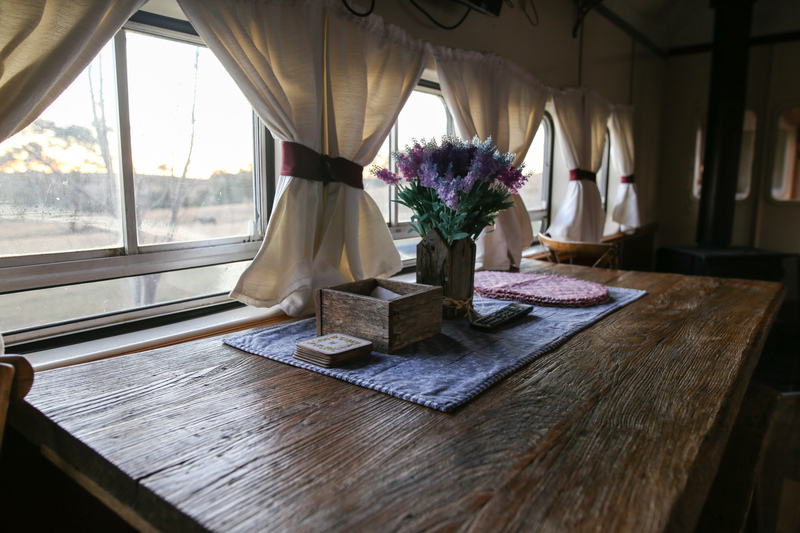 There is also an original train seat which is perfectly situated to enjoy our beautiful sunsets just outside the the Train Carriage. 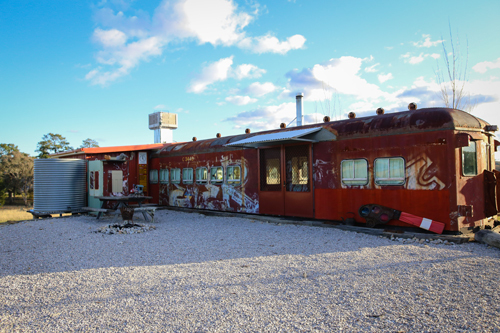 Ba Mack Train Carriage is located about 100 metres from our homestead and about 100 metres from Ba Mack Cottage. So lots of privacy assured.